Ariel was very accommodating and proactive in her responses. The apartment was very clean and located in a prime area which made it very convenient to communicate in & out of the place. She also provides parking at a subsidized rate. 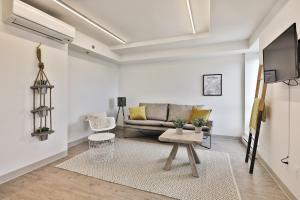 I highly recommend this property to people looking for a clean, convenient and comfortable place in the heart of Montreal. Ariel, the property owner was amazing. Whenever we had a query, he responded immediately and was very accommodating. 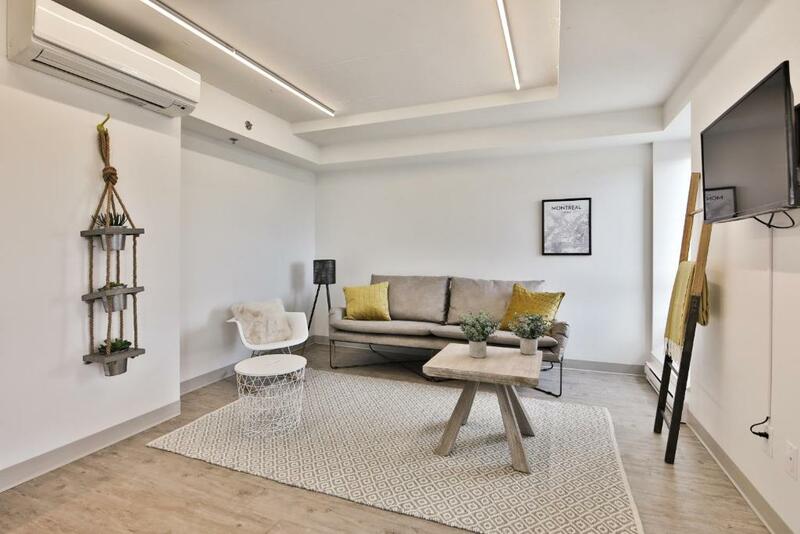 The apartment is situated in a great location - so close to the subway system and it was easy walking to the local shops and attractions. The apartment was clean and very well appointed. We booked an apartment as opposed to a hotel room purely so we could access a washing machine and dryer. Both were in excellent working condition and owners are very generous with providing consumables like washing powder, shampoo, conditioner etc. 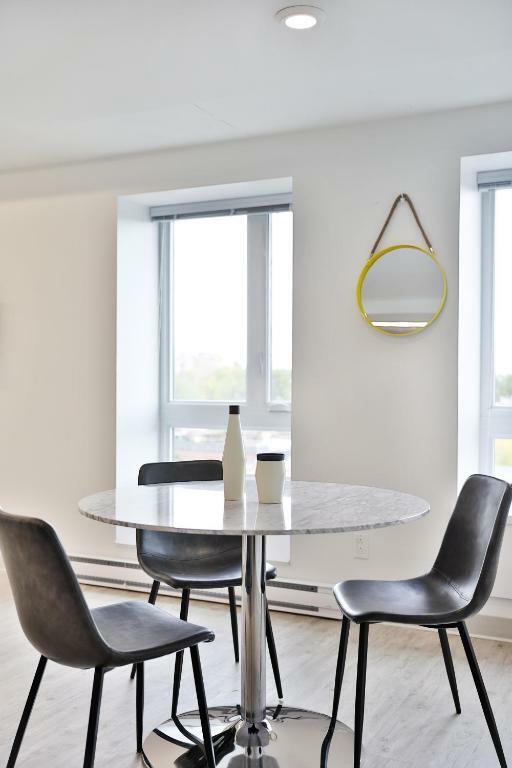 We would certainly recommend this apartment to anyone visiting Montreal. Staying in this apartment certainly complemented our vacation. Thank you! Easy to contact with owner. Apartment is located at same building of bus station. We came from Ottawa by bus, so easy to get apartment. that condo was just perfect, let be honest! It was spacious, well-located and clean!! The host was attentive to our needs and was always ready to help! And also a special thanks to Ariel for being so comprehensive about the mistake we made when we left without giving the keys back and gave us time to bring them back ;)! Thank you Ariel for everything! Brand New apartment. 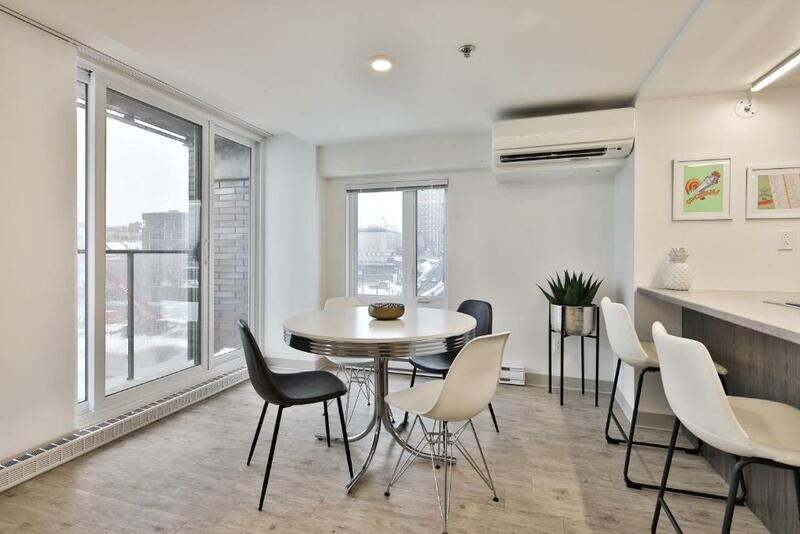 Room for everything, clear, nice environment, easy acess to old Montreal, individual parking space, close to a good supermarket (IGA) and one block from rue saint denis, place of many bars and restaurants. Everything a tourist may need. Emplacement ideal dans Montréal, proche du métro, du supermarché, beaucoup de restaurants autour,le centre et le vieux port accessibles à pieds. Qualité du logement très bonne, confort des lits, propreté, décoration soignée et moderne, spacieux ( 2 chambres de bonne taille avec dressing), salon avec cusinie ouverte tres agréable. Les communs sont aussi très propres et de standing. A conseiller, location vraiment au top! Appartement moderne, bien équipé, au calme avec jolie vue côté St Laurent et le pont Jacques Cartier. Facile d'accès en voiture avec parking sous la résidence. Propriétaire sympa et réactif. Lock in a great price for Berri Furnished Apartments by Top Stays – rated 9.8 by recent guests! One of our top picks in Montreal – and a guest favorite. 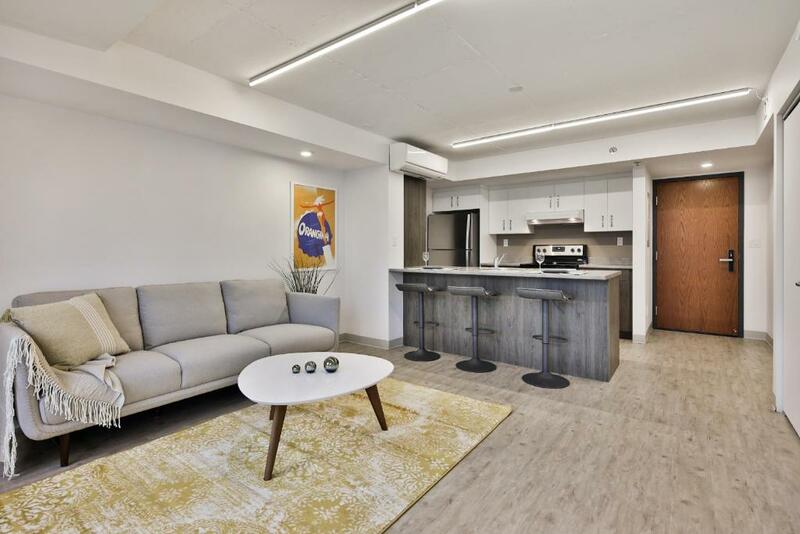 Located in Montreal, a 7-minute walk from University of Quebec in Montreal UQAM, Berri Furnished Apartments by Top Stays has accommodations with a garden with a terrace. Free WiFi is offered. 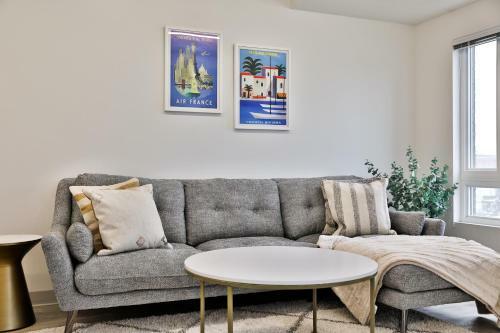 The units come with hardwood floors and feature a fully equipped kitchen with a dishwasher, a flat-screen TV with cable channels, and a private bathroom with shower. There's a seating and/or dining area in some units. Place des Arts is 0.7 miles from the apartment. The nearest airport is Montreal-Pierre Elliott Trudeau International Airport, 13 miles from the property. 뀐 Located in the real heart of Montreal, this property has an excellent location score of 9.8! When would you like to stay at Berri Furnished Apartments by Top Stays? 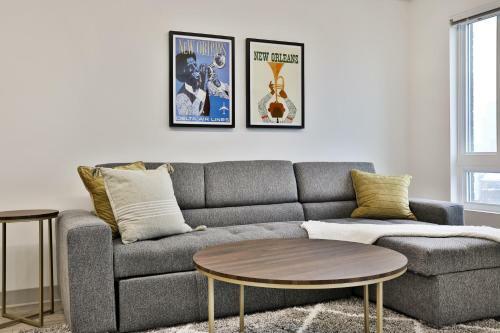 This apartment features a dining area, kitchenware and iPod dock. 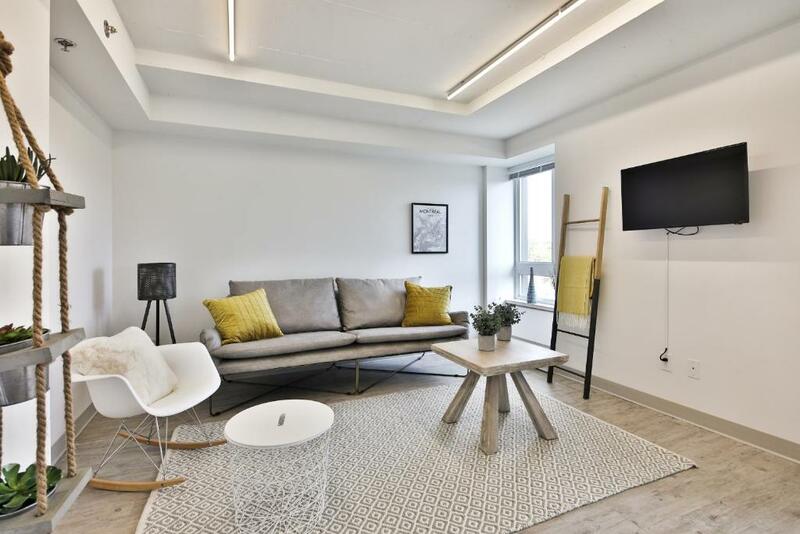 The Grey Collection by Top Stays: Centrally located and offering a sleek design, our units provide you with a convenient, comfortable & memorable stay. Situated in a vibrant area known as "Quartier Des Spectacles", you have easy access to explore Montreal in its entirety. Top Stays Montreal is a professional management company specializing in high-end short & long term rentals. We know traveling can sometimes be challenging, getting around a new city, different language, new time zones & finding quality food. Luckily, we are here to help! Our expertise in Montreal culture will help you become a local in no time! Our rentals provide a comfortable, professional & reliable environment that will make you feel right at home! 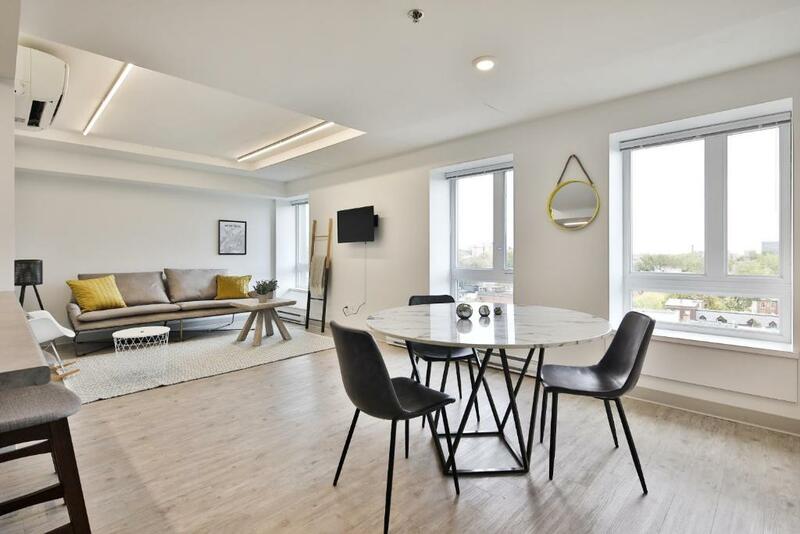 Located in Montreal's "Quartier des Spectacles" this centrally located area provides easy public access & quick drives to easily explore Montreal! 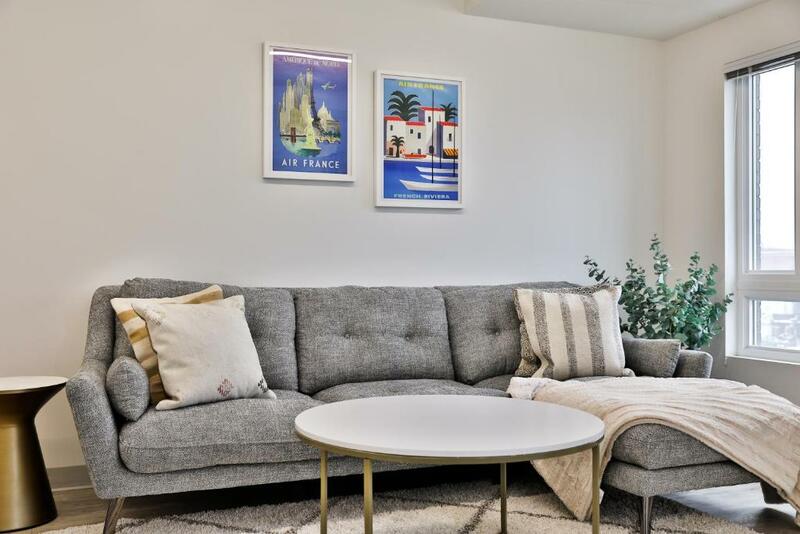 - Old Montreal (5-minute drive) - Bell Center (10-minute drive) - Palais Des Congres/Montreal Convention Center (5-minute drive) - Place Des Arts ( 5-minute drive) - St Catherine (5-minute drive or walk) - McGill University (7-minute drive) - Theatre St-Denis ( 3-minute walk) - St-Denis street (2-minute walk) Upon arrival, we provide a curated guidebook for the best restaurants and bars for you to check out! House Rules Berri Furnished Apartments by Top Stays takes special requests – add in the next step! Debit card Berri Furnished Apartments by Top Stays accepts these cards and reserves the right to temporarily hold an amount prior to arrival. Berri Furnished Apartments by Top Stays accepts these cards and reserves the right to temporarily hold an amount prior to arrival. Please inform Berri Furnished Apartments by Top Stays of your expected arrival time in advance. You can use the Special Requests box when booking, or contact the property directly using the contact details in your confirmation. the host is a great person! Thanks to missing information from Booking.com, we had problems to reach the place. Bad for Booking.com !!!! Bad service. Although, Ariel (from Berri apartment) was very helpful and solved the problems . Thank you, Ariel!!! We do appreciate your efforts to help us!